Easy Roasted Pear Sauce + 3 Ways to Use it! Gone are the days of both kid’s schools being a 10 minute walk across the park from our house. All in all at the end of each week day here in Atlanta we spend about 2 hours each commuting. 2 HOURS!! Obviously, we don’t get more hours in the day (wouldn’t that be nice!) just because we lost 9 hours of our week to trekking around. So, as a family we’ve had to get pretty creative about where these 9 hours a week are coming from in our already tightly packed schedules. Trust me, every one is making compromises. In Long Beach, I used to dedicate about an hour each day, sometimes more, prepping and cooking dinner. Not to mention the time I spent in between work tasks during the day packing lunches for everyone and doing dishes. SO MANY DISHES!! These days I have found that I am spending WAY less time in the kitchen and leaning more towards recipes like this Easy Roasted Pear Sauce that require little effort and time from me, but give me SO much in return. 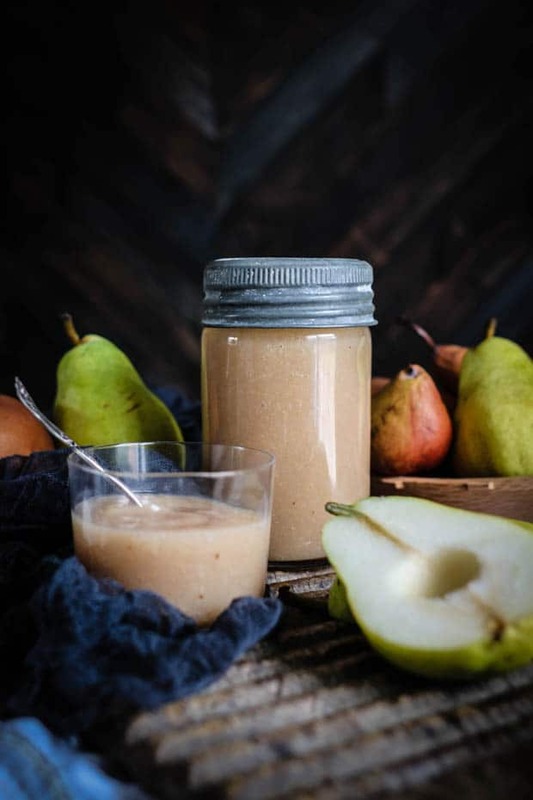 With just 1 batch of this roasted pear sauce I can pack my kid’s a healthy homemade snack in their lunchboxes, serve up a killer marinade for a pork chop dinner, make a batch of pear scented granola, and even have a few pear martinis with my friends. Did I mention the fact that you can use this pear sauce in baked goods too? Basically, any recipe that calls for apple sauce will substitute 1 to 1. Ready to whip up a batch of roasted pear sauce for yourself? Just click here to go to the Stemilt site for the full recipe. 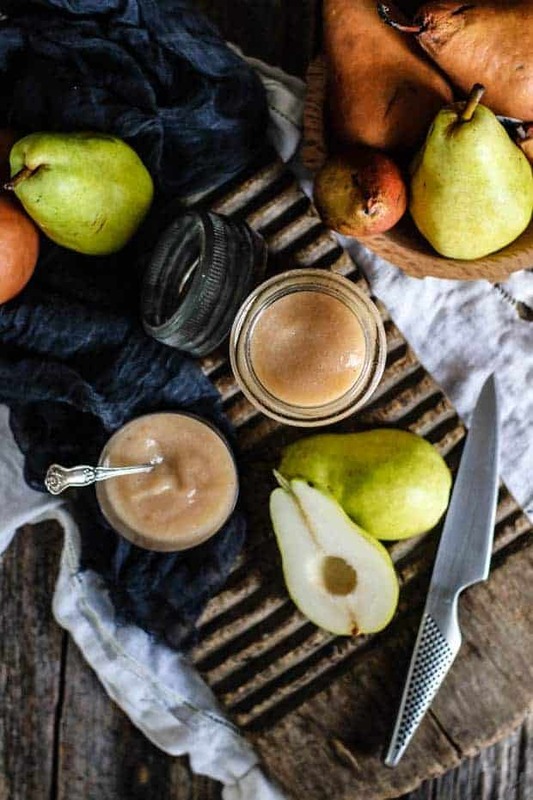 If you’ve made this Roasted Pear Sauce or any other recipe on our site then don’t forget to rate the recipe and let me know what you thought in the comments below, I love hearing from you! You can also FOLLOW ME on FACEBOOK, INSTAGRAM, TWITTER, and PINTEREST to see more delicious food, design, and decor.